hanumadu wrote: I guess they waited till the very last minute before they can no longer afford not to let in foreign professionals. Aren't mixed race (Japanese with foreigners) frowned upon in Japan? Japanese coaching centers will spring up everywhere in India I guess. I am waiting for the chinese wicket to fall. Read some where that one the reason India tolerates the chinese imports are in the hope that one day we will be able to export our software services. Indian govt would do well to improve the standards of our colleges so they graduate employable people. Already some noida based big IT companies go for specific recruitment(in 3rd year of engg) from colleges which includes one year of Japanese learning in final year before joining. Nobody will want to move to japan as they will have to spend time learning japanese and conforming to a rigid, work-a-holic culture with no life outside work. Who wants to be wasting years of their life learning a language that can only be used in one country? Mostly young westerners move there as English teachers and to experience Japanese culture. Half of them are there just to chase girls. Most of the colleges don't offer Japanese but Spanish or German. For Japan language is significant competitive advantage. I dont think there is so much scope for IT services in Japan and China. Especially China. The countries are dominated by diversified manufacturing companies where IT automation and IT spend are lowest among industries. Significant population too to throw people and xls at things instead of investing in systems and technologies. Very similar to India. Lack of IT adoption in domestic Indian industry is very low compared to west. Can someone tell me how and where to file a patent? Neshant wrote: Nobody will want to move to japan as they will have to spend time learning japanese and conforming to a rigid, work-a-holic culture with no life outside work. Who wants to be wasting years of their life learning a language that can only be used in one country? There was no eagerness to learn Japanese language for many gaijins living there, not to say the work-o-holic culture which does not fit with people outside of the jap-chin-korea work ethic. General Japanese environment is anti-thesis to Indian environment, homogenus, orderly, non-confronting, polite, obeying, silent with the latter being, multi-cultural, loud, noisy, argumentative and high confrontative. The gap is little long to cross-over. The IT-ITeS industry revenue aggregate (Exports + Domestic) is expected to grow over 7 percent and reach US $151.5 billion in FY 2017-18 as compared to US $140 billion in FY2016-17. The IT-ITeS industry revenue trend over the past 5 years is depicted below. IT-BPM exports are projected to reach US$ 125 billion showing a 7 percent Y-o-Y growth. Engineering Research and Development(ER&D), digital projects and embedded solutions, product engineering and new technologies are key growth drivers. The IT- ITeS industry export trend over the past 5 years covering IT Services, ITeS/ BPO, Engineering R&D and Product Development segments is depicted below. USA, UK and EU account for 90% of the total IT-ITES exports, however, there are new challenges surfacing in these traditional geographies. Demand from Asia Pacific(APAC), Latin America and Middle East Asia is growing and new opportunities are emerging for expanding in continental Europe, Japan, China and Africa. The size of the domestic market is becoming significant now in the IT-ITeS sector, though it largely remains export driven. In FY 2017-18, the domestic market (excluding e-Commerce and hardware) is expected to grow 10 percent Y-o-Y to reach US $ 26.5 billion. The Government initiatives such as Digital India, Start-up India, Smart Cities, and Digital Payments are catalysing growth in this segment. The domestic revenue trend over the past 5 years covering IT Services, ITeS/ BPO, Engineering R&D and Product Development segments is depicted below. Paytm, India’s largest digital wallet and now a major payments bank backed by Chinese digital czar Alibaba has became the first such Indian startup to face the backlash regarding this issue. And this backlash came after a stunning sting operation against their Senior Vice President Ajay Shekhar Sharma. What are the career prospects for a person qualified in Cyber Law & Cyber Forensics? I know that IT companies have a team of lawyers etc., but they are playing around with the usual "business" Acts like Companies Acts, Contracts Acts etc. I did see that there are some legal firms also dealing with Cyber laws, but most of them talk about "assisting in filing police complaints on matters involving Cyber crime" etc. paytm like anyone else operating in india will have to hand over all data to GOI if asked. at best they can file a motion asking for formal warrants than just a general data mining - which all the US titans deeply plugged into NSA/CIA have already done for years!! As the lead architect of Shakti and the guy who helped kick-start the project, I figure I am owed my 2 cents ! 1. We never positioned it as an ARM killer ! That was the imagination of the reporter who wrote the article. 2. Shakti is not a state only project. Parts of Shakti are funded by the govt, these relate to cores and SoCs needed by the Govt. The defense and strategic sector procurement is huge, runs in the 10s of billions of USD.There is significant funding in terms of manpower, tools and free foundry shuttles provided by the private sector. In fact Shakti has more traction with the private sector than the govt sector in terms of immediate deployments. 3. The CPU eco-system including ARM's is a bit sclerotic. It is not the lic cost that is the problem, it is the inherent lack of flexibility in the model. 4. Shakti is not only a CPU. Other components include a new interconnect based on SRIO, GenZ with our extensions accompanied by open source silicon, a new NVMe+ based storage standard again based on open source SSD controller silicon (using Shakti cores of course), open source Rust based MK OS for supporting tagged ISAs for secure Shakti variants, fault tolerant variants for aerospace and ADAS applications, ML/AI accelerators based on our AI research (we are one of the top RL ML labs around). 4. the Shakti program will also deliver a whole host of IPs including the smaller trivial ones and also as needed bigger blocks like SRIO, PCIe and DDR4. All open source of course. 5. We are also doing our own 10G and 25G PHYs 6. A few startups will come out of this but that can wait till we have a good open source base. 7. The standard cores coming out of IIT will be production grade and not research chips. And building a processor is still tough these days. Try building a 16 core, quad wide server monster with 4 DDR4 channels, 4x25G I/O ports, 2 ports for multi-socket support. All connected via a power optimized mesh fabric. Of course you have to develop the on-chip and off-chip cache coherency stuff too ! 8. And yes we are in talks with AMD for using the EPYC socket. But don't think they will bite. pravula wrote: India's first RISC-V based Chip is Here: Linux boots on Shakti processor! Interesting stuff - looks like Risc-V will become the open source hardware architecture choice. However on a serious note, I question the wisdom of using new silicon for a safety critical system like the controls of a nuclear reactor. They really need to step down from that publicity seeking move and exercise common sense. That issue aside, make these chips available to the world and an ecosystem of tools will spring up overnight around it. Keep it locked in govt labs inaccessible for purchase by the public and watch it die. The system should be used for NRC in other states inst ad of reinventing the wheel. Guys I had this question in my mind for long time . Firstly some backgrounder :- US economy on paper looks strongest ever with unemployment below 4 % and no recession since atleast last 7 years . This is however bound to change because 1) trade frictions 2 ) normal economic cycle cannot be put off for ever . The question in my mind is 1) What would be impact on Indian IT this time around since IT growth is much lower now at around 5 - 7 % per annum . 2) Any reshuffle expected within structural makeup of IT industry as in smaller sized boutique companies viz a viz behemoths like TCS and Infosys . The company has just announced a $100 million funding round led by Sequoia and Accel Partners. The funds, most likely the last round to be raised privately, will be used to expand the company’s global footprint and continue investment in its integrated software-as-aservice platform. Its total funding now stands at about $250 million, at a valuation of about $1.5 billion. Between the Vegas ‘takeover’ and the recent fund raising, Freshworks crossed a milestone – with over $100 million in annual recurring revenue, helped by its flagship customer support product, Freshdesk, with contributions from its IT services management product, Freshservice, and customer relationship management product, Freshsales. Share this database software with other countries & the UN so missing children may be rapidly detected and reunited with their families. 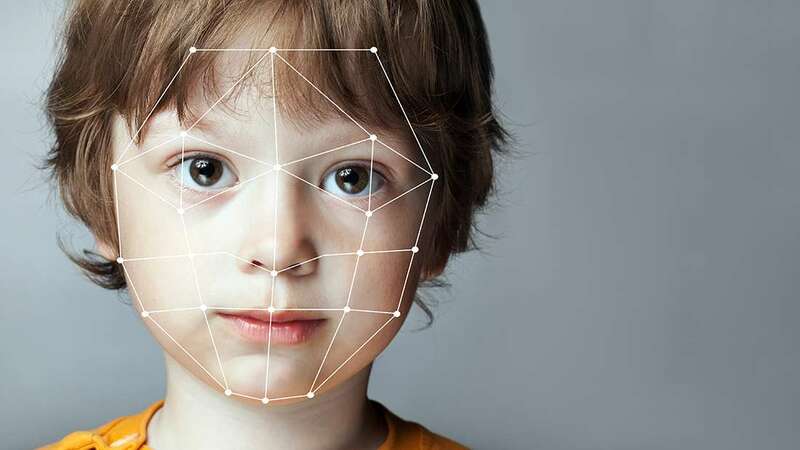 According to the Indian news outlet NDTV, nearly 3,000 missing children have been located in New Delhi only four days after the city police department adopted an experimental facial recognition system (FRS) software program. A significant improvement to the milk carton approach. Tracking the thousands of children who disappear each year in the 1.3 billion-person nation is an impossibly enormous undertaking. According to India's Ministry of Women and Child Development, more than 240,000 children were reported missing between 2012 and 2017 alone, although the real number is probably higher. Some organizations estimate that the true number of missing children is close to 500,000 per year. To aid recovery efforts, the Ministry established a nationwide online database called TrackChild, where photographs of missing and found children can be posted and viewed, and police information can be shared between agencies and with citizens. And though this digital resource has become a helpful tool, the backlog of photographs is still too much for officials to handle. So, a child welfare organization called Bachpan Bachao Andolan (BBA) developed an FRS software to automate TrackChild’s photo comparison process. Details of the particular facial recognition algorithm that this program uses are not available, but current FRS platforms use one or both of the two main approaches – geometric or photometric. Geometric (also known as feature-based) algorithms analyze and compare faces by mapping the distance between features and noting facial landmarks, whereas photometric algorithms break images down into pixel-by-pixel data of shade gradients that can then be compared. Given that photometric algorithms require many reference images before comparisons can be made, it is unlikely that the Delhi FRS includes this technology. Due to somewhat confusingly reported bureaucratic issues, the FRS pilot project was not implemented ( damn those LAZY babus ) until the Delhi High Court intervened to assist the police department. Yet once approved, the FRS was able to identify 2,930 children after being fed images of 45,000 children from the TrackChild database. “India currently has almost [200,000] missing children and about 90,000 lodged in various child care institutions. It is almost impossible for anyone [to] manually go through photographs to match the children,” BBA activist Bhuwan Ribhu told The Better India. It is unclear as of now whether the system needs to clear further legal hurdles before it can be permanently added to the TrackChild program. Not just facial recognition, all childrens should have their adhaar done without exception. It is much easier to identify a kid using adhaar. Even a Mobile shop has software to find identity based on adhaar. We already have a solution. nam wrote: Not just facial recognition, all childrens should have their adhaar done without exception. The Aadhaar card should be mandatory for all. everyone who wanted one, including millions of illegals have aadhar. Singha wrote: everyone who wanted one, including millions of illegals have aadhar. But Aadhar is not Nationality document, its just an identity document. So anyone with Aadhar can be traced, better than having people untraceable. Also think in long term, today illegals can get Aadhar as we have process for people with all ages to get a Aadhar. But few years time we will have process of only for new born to have Aadhar (bcoz soon all grown up will have one.) Then illegals will find it very difficult to get one with Indian credentials. Sorry if I missed it, but is that indigenous microprocessor( "Shakti") manufactured in India, or only designed? Because Chips certainly have been designed in India before. Manufactured, I'm not sure, perhaps ASIC have been. Varoon Shekhar wrote: Sorry if I missed it, but is that indigenous microprocessor( "Shakti") manufactured in India, or only designed? Because Chips certainly have been designed in India before. Manufactured, I'm not sure, perhaps ASIC have been. Before this India has only licensed ARM architecture which comes with it's own instruction sets and designed chip based on the architecture i.e. add or modify components or change number of instructions executed per second. The instruction sets are the same. Shakti is based on open source RISC-V Instruction sets where due to open source nature one can add or subtract instruction sets giving rise to a whole new architecture itself. So in a way you can say it is a new architecture and a new chip in itself. For fab, currently 300 processors have been manufactured in Intel fab free of cost, and the team is planning on setting a fab foundry in India to manufacture it. 'Desi’ GPS module launched: All you need to know. India is getting its own GPS module. Called UTraQ, the module gets feeds from India Regional Navigation Satellite System (IRNSS). IRNSS is an independent, indigenously developed satellite navigation system fully planned, established and controlled by Indian Space Research Organisation (ISRO). ^^^ How different is this from Gagan?? These are GPS receivers Modules based on IRNSS supported by GAGAN/NaviC signals, designed using L5 and S bands. It is owned by Ramakrishna Electro Component & manufactured by Shanghai Mobiletek. Chinese manufactured product sold in India as with Made in India stamp. Question is can Shanghai mobiletek shut it down during war on all devices using utraq module? That will defeat the purpose of IRNSS other than for military purpose. Exactly what did the Ramakrishna mission make in this case if they are distributors. It looks like the entire thing was designed and fabricated for them - with the PLA doing the design of both the front end processor block and back end receiver. NEW DELHI: In a relief for the Indian expat community in the US,H-1B visa holders are not covered , for the time being, by the deportation norms coming into force from October 1. The leeway also applies to [url]L-1 visa[/url] holders on intra-company transfers. “The policy will not be implemented with respect to employment-based petitions and humanitarian applications and petitions, at this time,” said a USCIS statement. The USCIS is taking an incremental approach to implement its updated Notice to Appear (NTA) policy, announced on June 28. Serving of an NTA is the first stage in deportation proceedings. Late on Wednesday, the USCIS announced that the NTA policy will apply, at least initially, to applications made for change of status to green cards while the applicant is in the US (Form I-485 applications) and also visa extension requests (Form I-539 applications), barring employment visa extensions. So, the new policy will cover international students and tourists wishing to extend their stay or change their visa status. Form I-539 application has to be filed by international students who wish to extend their stay in the US. Those wanting to change their status also have to file it. Many aspiring students travel on visitor visas (B2 visa) to explore and then decide upon a course of study, at which time they apply to change the status to F (student visa). “A visitor visa is valid for six months. The I-539 processing times are upwards of six months, so what will inevitably happen is even if the I-539 is approved, the period of authorised stay will have expired. In reality, foreign nationals may have to leave within six months instead of extending or changing status in the US,” Snehal Batra, managing attorney at NPZ Law told TOI. application for H-1B visa extension received during the grace period would have resulted in commencement of deportation proceedings. A huge worry has been lifted with the recent announcement,” said an in-house immigration counsel at a large technology company. How is highly skilled referring to PhD, "unreasonable"? China is exporting bugged Telecom and other electronic equipment and components even to the US getting it past their Dept. of Defence. Imagine what they are selling to clueless India where govt and corporate depts hardly do a thing to verify the items they purchase. Not that the babuz even have the means or a clue how to verify such equipment.. Meanwhile Indian govt and companies continue to use China designed Telecom equipment and Phones. His speech is also expected to focus on how China leverages debt and its capital markets to force foreign governments to submit to its will (something that has happened in Bangladesh and the Czech Republic. But while those narratives are certainly important, they pale in comparison to Bloomberg's revelations, which reported on an ongoing government investigation into China's use of a "tiny microchip" that found its way into servers that were widely used throughout the US military and intelligence infrastructure, from Navy warships to DoD server farms. The probe began three years ago after the US intelligence agencies were tipped off by Amazon. And three years later, it remains ongoing. Utrac is most likely for civilian purpose only. They probably had given it to an Indian company who promptly outsourced it to China. Due diligence was not done in this case. Looks like China made bugged crap will be going into millions of civilian based systems. Qualcomm to invest 400 million in Hyderabad to create a 10,000 person center. More spyware build into electronics from China.. Yet India is sourcing critical components for a ton of Telecom and telemetry equipment from China. A major US telecommunications company found "manipulated" hardware from Super Micro Computer Inc. in its network in August - bolstering claims in a Bloomberg report last week alleging that China installed bugging devices on hardware bought by Apple, Amazon and a host of other companies. According to a new report by Bloomberg, the unnamed telecom company hired former Israeli Intelligence Corps security expert Yossi Appleboum, now of Maryland-based Sepio Systems, who provided "documents, analysis and other evidence of the discovery" following last week's report detailing how China's intelligence agencies had ordered subcontractors to install malicious chips in Super Micro motherboards between 2013 and 2015. Since it is an RF receiver, one could easily imsgine a hack built in for a specific frequency that when received shuts down the module/chip. Thus in any war with China, millions of vehicles and vessels in India using this Mobiletek designed and manufactured GPS module for navigation would be stranded. Hell China is already building in hardware spyware into boards and chips it exports to the US for backdoor access and sabotage. Govt is meanwhile still asleep on the issue allowing it's usage in products by the millions. despite the loud denials by apple and amazon about the hw spyware thing, bloomberg has stood by its story and come up with a second story today. just the large public cloud providers will have millions of intel and amd powered servers online on any day. Singha wrote: paytm like anyone else operating in india will have to hand over all data to GOI if asked. Doesn't paytm have significant foreign investment?? some of these investors maybe/are cheeni companies, right?? India’s fintech industry is expected to have a turnover of $2.4 billion by 2020. Amid this, Paytm has emerged as a formidable player. It has so far raised more than $2.5 billion from investors, including China’s Alibaba Group, Japanese giant Softbank, and Taiwan’s MediaTek. Paytm also runs an e-commerce firm, Paytm Mall, and the Paytm Payments Bank. It is now also entering the cloud computing business. So the prospect that the paytm data is already in cheeni hands with some cheeni guy in thick spectacles poring over it is already a distinct possibility, no?? So, while our liberandu guys are worrying about some "spilled coffee" the hans could have already found their way into our jockey shorts. For those interested, a gora convinced chinis to show them the PCB manufacturing in details..
nam wrote: For those interested, a gora convinced chinis to show them the PCB manufacturing in details.. Nothing great about it, but it is a process industry that requires enough scale and power/water etc resources. Not as easy to set up, staff and maintain as an assembly operation or an SMT (the process that assembles the components on the PCB and solders them) process but very doable. There are probably hundreds of PCB factories in China, not sure about India but I would be very surprised if we don't have at least a few.